Hi – I’m Hank and I bought a Bus! Update 4/26/16: Justin here, thought I would provide a brief update on why this project has ended up relatively quiet two years on. We made an attempt to bring this story to life in a beautiful coffee table book designed by the incredibly talented Missy Austin, but our Kickstarter campaign was unsuccessful. We still consider the possibility of doing an ultra-limited-edition run of 100 books, but that may not happen for another year or two. Moving forward with life, Hank has departed the Midwest to pursue his architecture career while I have returned to the Midwest to work at a tech startup based in Minneapolis called Vidku. The bus has found a more permanent home on the land owned by Hank’s family and will likely remain there for the remainder of its life. In architecture school I was tired of drawing buildings that would never exist, for clients that were imaginary, and with details I didn’t fully understand. I prefer to work with my hands, exploring details thoroughly, and enjoy working/prototyping at full scale. So for my Masters Final Project I decided to buy a school bus and convert it into a tiny living space. This was only possible because I was fortunate enough to have an instructor, Adam Marcus, who encourages working at full scale, and allowed me take on such an ambitious and unorthodox project. The bus was purchased on Craigslist for $3000, and has had about $6000 in improvements. It’s not pocket change, but it’s less than a down payment on a home, and it’s less than I paid in tuition for my last semester of grad school. The majority of the work was completed in 15 weeks, just in time for my final review (although the first seven weeks were almost entirely design and prototyping, with the bulk of the construction completed in the last month and a half of the semester). It’s not an original premise, but I don’t feel the opportunities have been explored very thoroughly and I wanted to show people the the potential in converting an existing vehicle. I also thought it was important to demonstrate the value of full scale iteration in architectural education. There are too many architecture students who don’t understand basic physical limitations of materials or how they can be joined. This project was a way to show how building a small structure with simple detailing can be more valuable than drawing a complex project that is theoretical and poorly understood. I think we need more making in architecture! There are some great shots of the bus in the posts that document our journey, but the full extent of functionality and flexibility isn’t apparent from just those images. This gallery elaborates on how the space is organized to create an environment that is comfortable, functional, and flexible. The even spacing of the window bays allow for the volume to be broken down into modular units of 28 inches square, leaving an aisle that is also 28 inches wide. The modular units are then grouped to create four primary zones: Bathroom, Kitchen, Seating, and Sleeping. One of the primary goals during the design phase was to develop a living space in 225sqft that is as open and un-restricting as possible. In order to accomplish this, I set self-imposed guidelines that eliminated any furniture or structure above the bottom edge of the window. This allows the space to remain continuous, and maintains clear sight-lines from one end of the space to the other, even while seated. In order to accomplish this I developed a thin wall system integrating structure, insulation, electrical, lighting, and facing, leaving the interior open for occupation. The ceiling is covered in plywood flexed by compression, and the floor is reclaimed gym flooring, complete with 3-point line. The windows also contribute greatly to the open feeling in such a small space. Many bus conversions cover a majority of the windows to aid in privacy and insulation. This results in a dramatic reduction in natural lighting and obscures the fantastic panoramic views, not to mention compromising the embedded energy of the windows already in place. In order to mitigate issues of privacy and insulation, drop-down translucent insulation panels were built into the lower walls, and can be raised into place with the aid of magnets. Additionally, two skylights are placed where emergency hatches once sat, bringing a fantastic amount of light into the space. The space is lit simply by LED strip lighting, hidden in the reveal where the ceiling meets the wall. The lights are switched by zone, and are of course dim-able to achieve the proper mood. In order to help remove the inhabitant from the reminders and connotations of its former life as a school bus, entry into the space is reoriented to the rear. Upon entering the space, the occupant first encounters the bathroom. In this zone, one side of the aisle is walled off to enclose the toilet. This space currently houses a yet-to-be-used portable toilet, but will hopefully be replaced by a plumbed toilet in the coming years. The opposing side of the aisle is unoccupied, and is currently serving as overflow storage. 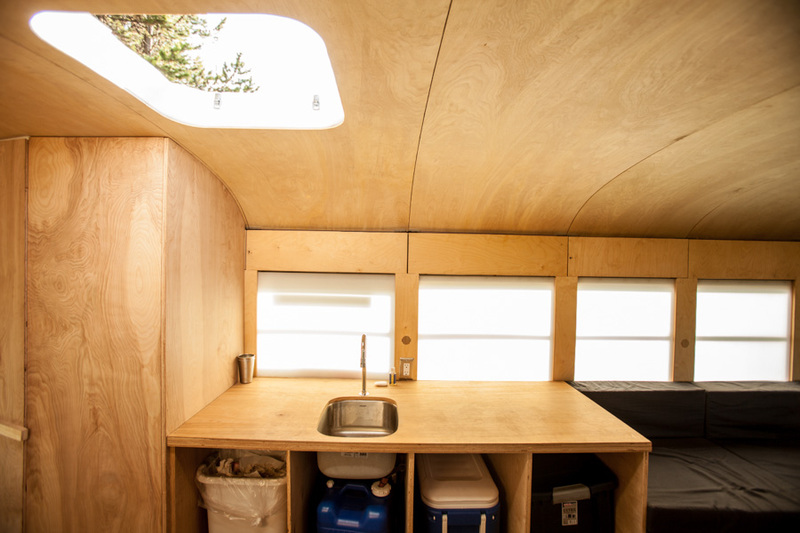 The kitchen occupies two window bays, and currently features a foot-pump sink as it’s only true utility. There are plans for one of the bays to become a chest fridge, and for a gas cooktop to be installed, but for now we are surviving using a cooler and a portable propane stove. The cabinet frames are fully assembled, but the planned drawers and faces have yet to be constructed. For now they maintain a stripped-down aesthetic and storage bins are used to hold goods and supplies. The seating space is one of the most versatile, and as it occupies four bays, it is also the largest. In it’s neutral state, the zone features four large seats on either side of the aisle. The two seats nearest the kitchen occupy the space over the wheel wells, and as such have no storage underneath. However the faces of these seats fold out into the aisle to create a platform that can be covered with neighboring cushions to create a queen-sized sleeping area. The next seat down on either side of the aisle can be raised or lowered to create a table surface for eating or working. This allows for up to four people to have table space without having to climb over each other. The final seat features a large lockable storage bay underneath. The flexibility of this zone allows it to accommodate a large number of conditions and situations. The sleeping space is comprised of two narrow beds, of equal width, on either side of the aisle. There are drawers beneath each each bed, deep storage underneath the mattresses, and built-in shelves facing the seating area. In order to accommodate varied sleeping arrangements, the port-side bed rolls into the center aisle, creating a queen-sized sleeping area, with a third mattress revealed in the vacated space. This allows for a total sleeping capacity of up to six adults. The cabin of the bus almost entirely untouched, except for the rats nest of wires from the added electrical systems. The cabin can be separated from the living space by a sliding door panel, which is left open while on the road to communicate with the driver. As a whole these elements come together to form the ultimate road trip vehicle, if not yet a fully livable space. I’m looking forward to pushing this project further, continuing to build out the necessary systems and modifying the elements that need more iteration, in order to better understand living in tiny spaces, and expand discussion about living small. In August of 2013 we embarked on a 5,000 mile journey and documented our travels. You can read about and see photos of our experiences by checking out our Travel Posts. 289 Responses to Hi – I’m Hank and I bought a Bus! Your conversion looks very interesting! Look forward to meeting you and touring the bus on your journey through Kansas City. What’s the MPG on a bus that big? are you considering converting fuel systems to something more economical/ environ friendly? Maybe propane or bio-gas? I realise your focus is on architectural efficiency and design – but there’s a real opportunity to explore self sufficiency, ‘zero waste’ living here as well. That lovely big bus could handle a little extra weight… holding tanks from your sink/shower could store greywater for ‘bus washing’, and a composting toilet could generate bio-fuel. So much potential in this project- good for you! Hey this is so freakin awesome me & my husband love it way to go on taking a chance & following ur gut. So amazed would love to see more. We live in Santa Rosa Ca. I love it too! I also live in Santa Rosa. What the hell? Santa Rosans are into converted buses, apparently. I actually love the cabinetry as it is! They have a clean, sleek look. I was reading to see what you used for wood & finishing for your cabinets and counter tops. Surprised to read “unfinished for now”. Since your an architecture student, surely Chicago would be a great place to stop. Especially IIT. Everyone would in the COA would definitely like to hear your story and see your work! Nice, man. Looks great, and there are some really good ideas. The idea overall is really great as is the execution. I really dig the interior and how the space is manageable and dynamic. Yellow = Classic School bus happy, fun: good. Your bus needs a paint job. It’s actually illegal to drive a yellow school bus on the streets (at least in Arizona) if you are not actually driving it for a school. The thought being that someone could drive around picking up kids for reasons other than education. Nah; yellow is too tacky. Military busses are also grey. Really? You’re going to look at all of this and then comment on the color of the bus? Yellow would be a terrible color. The whole point is to transform what was a school bus, -not live in one. I think they might give me motion sickness… maybe for the outside? 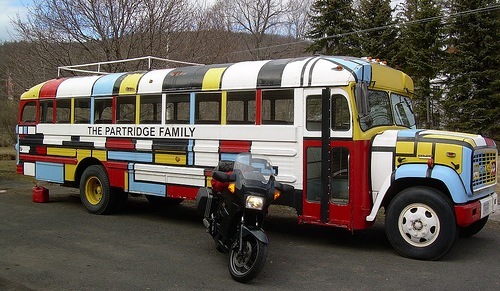 Perfect solution – Partridge Family! Sorry Tim, in some states it is illegal to leave a bus yellow after it has been bought for private use. I don’t see what is so happy about a yellow school bus.. The grey looks good. Nicely done. Are you planning on adding construction pics at all? It’d be nice to walk through the process. Congrats on it and good luck! In Texas it’s illegal to leave it yellow for private use, as Darryl states. And you must remove the red flashers on top. This design is brilliant! With a few expansions, I can see how easily it would be to convert it to a fully livable space. I have many ideas on how to do something very similar to this for my future. I’ve done a lot of reviewing on converting buses and other possible tiny spaces This is the most comfortable and spacious design, utilizing natural light and plausible storage I’ve seen. Bravo! I’m looking at your bus while sitting on our sailboat in Faaborg Denmark. I like your mobile aesthetic, sleek and comfy. Regards systems; simpler is better, and of course, best of luck with the toilet. Love the bus, will be following the trip with interest! Have converted an old ex-army ambulance myself and tour Scotland…… Enjoy! Hey, so have I!! I turned a 60’s Mercedes Unimog 404 ex ambulance into an RV. Solar, fridge, sink, toilet, art studio. Which vehicle did you use as a platform? Leandro, Very helpful reply. I also like the idea of the conversion of Mercedes Unimog 404 ex ambulance into an RV. Solar. Like to see that one. It might be a good idea to install 110 volt hook up for RV camp site. Electric blanket might feel good in winter. I am ready to retire. i’m still stuck on the Mercedes Unimog 404 ex ambulance, RV. Solar idea. Thanks for your ideas too. Congratulations and have a nice trip. I just wonder how you fix electric / water / kitchen issues on the bus ?! Just recently I got back from a roadtrip through the uk with 2 friends of mine. We were in an Audi and pitched up a tent every night. At some point we saw an old bus (uk=double decker bus) on the side with a ‘for sale’ sign and we immedately envisioned how to transform the bus into a roadtrip vehicle.Since none of us are in architecture students we knew that our vision would never come true for us, but you did exactly what we dreamed about in this moment. The bus looks awesome. You put so much thought into it and it came out very beautiful! Nik, a high school student built a tiny home on a trailer, so you are limited by your desire. Don’t sell yourself short! Great design, and bigger than my first apartment. I love all the exposed wood; hope you don’t change that. Many years ago in Tennessee, I met a family who’d converted a school bus into their traveling vacation home. I’ve often thought of it since. Big wheels rollin’; gotta keep ’em goin’. Big wheels rollin’, movin’ on. WOW! I wish my Dad were still alive. My family has always camped, and my Dad was excellent in construction. He would have loved to have examined this article. As it stands, I do have a brother who is the same and will send it to him. As the daughter of the man mentioned above, I’m WOWED by this project. I imagine that some of the things weren’t completed beyond functional necessity such as the toilet, cabinet fronts, and a few others due to the restraint on a Master’s Degree Candidates’s budget, but I can visualize it. At first I thought…no one wants to sit straight up 24/7. Then I saw the queen size bed roll out where leaning against the bus sides, the legs can be stretched. I love that you kept the windows unblocked. This is the Frank Lloyd right of converted buses…haha. One with nature! I love that about his work. As far as someone’s earlier comment on color, I do think that would be a good…although least necessary thing…idea. However, don’t go yellow school bus. I’m sure you have your own choices…red could be a bit fun as the project already stands out. I hope you have a patent or patent pending on this type of conversion, but, as people can vary it in so many ways, that probably isn’t possible. I think you’ll have orders! That’s probably an understatement already in the press I see you are getting on Google. if you are passing through Costa Mesa, please stop by and see us. We are always excited to meet fellow open road enthusiasts! Your bus is so beautiful!! This is one of my dad’s life-long dreams; to buy a school bus and transform it to the “Cool Bus”. This is inspiring!! My husband and I did the same thing in 1977 except there was a set of bunk beds for the children. It was fun! Wish many times we had not sold it to someone else to enjoy! If you ever decide to take your journey up north in Canadian territory, come visit Montreal 🙂 You are welcome here. What you guys did was my childhood dream house, now I know it’s more than possible to buy one…right? I hope so, because it’s pure genius what you accomplished. Hands down, brothers! This is insane and cool!! Are you coming to New York???? If the Empire State does make it on the Bucket list I know many Architecture Students in Central New York that would love the opportunity to chat and appreciate the project! We’re hoping to head east next time! This is amazing and I like how you can turn the twin beds into seats and then into a Queen Sized bed, I’ve been looking for an affordable easy way to do that in a bedroom setting. This is incredible and I really commend you for your hard work and creativity. If your coming to NY I now so many people who would love to see this! This is probably the lease creative design element, as it’s copied straight out of a 1960s VW Combi / Caravanette. In that example the board which spans the seats to make a bed also doubles as a table. Hello. I am in the middle of my own bus conversion project. I’m curious. what is the R value of the insulation used to cover the walls? Do you have insulation in the roof as well as the walls? Also what kind of insulation did you use? Do you plan on adding a shower? Have you considered using a composting toilet instead of attaching plumbing? Way less toxic/easy to install and used by the coast guard!! What are you doing for heat? Where is/how are you storing your greywater? Are you running your lights off a house battery bank? What kind of batteries are you using? Also, I believe it illegal to paint a school bus yellow that is not actually being used as a school bus. I’d be curious to know if there are any camp grounds that turn you away. Do you plan on attempting to stay in parking lots when you are in major cities? Enjoy your adventure. I hope to learn from your journey. This is great to see. I love your pull up privacy blinds keeping it light with no overhead storage and the extensive use of ply. Has it made the bus too heavy? I’m in New Zealand and I have a smaller bus like yours (an old school bus from USA) ready to convert. I will be following your trip with anticipation. Espectacular!!! Piensar visitar Suramerica? Suerte en tu proyecto!!! Hi Hank! I work at the National Building Museum with our teen architecture, urban planning, and design build programs. Any chance you’ll be passing through DC sometime soon? From one Hank to another, that’s an invitation you should not pass up. If you’ve never been to the National Building Museum, it is worth a trip for the visit alone. If the invitation is to be part of an exhibit or workshop, what are you waiting for? We’re hoping to pass through that neighborhood on our next tour, and that sounds like a fantastic stop, let’s keep in touch! 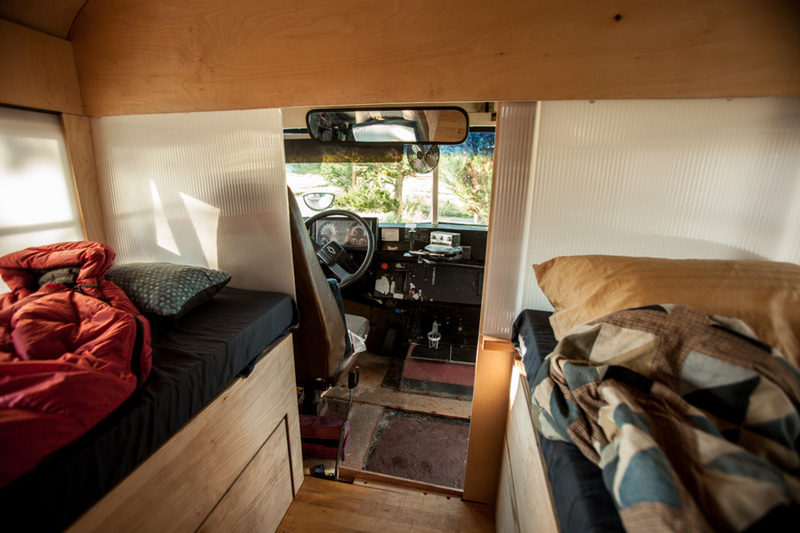 My friend also has a bus that he’s converted into more of an RV with bunk beds, couches, seating, and ski/board racks, but nothing like this. We took it to Lake Tahoe on a ski trip last year, and it was an amazing experience. When/where will you stop in Denver/CO? I would love to meet you, check out the bus, and hear about problems/improvements/etc. and compare notes with my bus trip experience. I’m seriously considering doing this now. I love the idea of the tiny house revolution, but to have the added mobility is a plus. It is great to see a fully converted school bus again. My parents had converted a large Red Baron into a caper with Bunk beds at the mid to back and had so much space and comfort added as well. We are a large family and it worked great to travel in all summer long. That sounds like a blast! Bus life isn’t all that bad, is it? Awesome conversion! If you are still in the Portland area — shoot us an email, we’d love to interview you for our book and blog, or meet up somewhere down the road! http://www.FreeRangeQuest.com — Congrats and safe travels! Shoot! We scuttled out of there a while ago. If you’d like some photos or want to do an interview, let us know! Otherwise stay in touch and we’ll cross paths eventually! Beautiful! Love the flexible furniture arrangements. We’re building a tiny house and would be curious to see what an architect thinks of it. If you plan to spend considerable time in your creation (whether that be living in it or traveling), seems to me you’d have an eye for details, function, and “doability” that an architect working in theory might not! Thank you! It’s a heck of a learning experience! The trials of the road are teaching me a fair amount about proper detailing! Good luck with your tiny home design! I hope it turns out nice and cozy! Hi- love your conversion. Reminds me of my childhood in the 1950s.- Dad was in the Royal Air Force (UK) and we often had to live in caravans waiting for quarters to be available..The biggest was about the size of your bus. Most furniture had double uses, eg the double bed came down from the wall but when it was up, the legs dropped down to make shelves for lights and a table dropped down from underneath the bed. One end of the van was bathroom/kitchen but differently divided from yours, ie lengthwise not across the van, so that they were back to back – there was a toilet and a bath and sink on one side, and a galley kitchen the other side. We used Calor Gas for cooking, and for lighting. The gas mantles used to purr! We had a small but very efficient stove for heating the van. We did use a tent for the washing machine and storing bicycles etc. This housed my parents and three children.It was a very happy home, nothing so cosy as lyingsnug in a caravan bed while the rain pounds on the roof ! Wish you much joy in your stunningly beautiful bus home. What a cool story about the tiny living you’ve done, I love all the multi-purpose furniture! Thanks for the well wishes! The ceiling is made of 1/4 plywood that is held in place by compression alone! At some point I’d like to share the plans, but I have to get my work organized first! Fantastic project! I’m so glad architecture school didn’t destroy your creativity and resourcefulness (as it all-too-often does). Congratulations. Thank you! You gotta keep that fire in your belly! I’ve seen his toyota camper on the internet before, pretty radical stuff. What a gnarly aesthetic! where did you get your translucent window panes? I imagine it wouldn’t be to hard to place a second layer of the corrugated plastic in an opaque black in the sleeping area for those who like to sleep in the pitch dark. Another question about the windows the frame is assembled using? OH i think the bus is amazing. any chance that you’ll post plans of your mods? We hope to share plans once I get them organized! From The Netherlands: Holy Mo! That’s a great job/project/tour. keep it save on the road. The outside the next project? Looks like an awesome project. My father did something very similar to a van back in the 70’s, then he, my mom and three daughters hit the road for a 6-week vacation from Ga to Oregon. Surprisingly, he never took one photo of the interior of the van! But I can tell you we had a pop-up top where one sister and I slept, a cot-type bed which encompassed the front area, which was where my other sister slept. The back end had seats and a table which lowered and the cushions made a bed and storage underneath. We had a sink and stove, but most of our cooking and dish washing took place outside. I still don’t know how my dad made that trip! You should team up with a graphic design student and do a really cool paint job on the exterior. Hank – Nice job on a quick conversion. Keeping it simple. We are surrently living full time in our bus and are having a blast doing it. There are always challenges along the way. Can’t wait to see what you are able to change/do to your bus over your trip and how everything turns out. I’m sorry if you have already answered this question, but where did you get the gym floor? At a lumberyard that had awesome reclaimed stuff in Minneapolis. I’m speechless and totally inspired by this! Will be following along! Hey, your bus is looking really good. When I went to college in Alex City Al. I was in a rock band and the guitar player bought an old school bus and we started making it into a camper like home. of course we thought we were going to travel all over playing but that didn’t happen. He got divorced and went to Jackson Miss. to take studio engineering. The time we spent on it was an experience i’ll never forget. Have a good time with this guys. Also you might want to build aluminum racks on top for storage or water tanks or those can also be put underneath with a pump. Goo Luck. The roof racks are coming for sure! Bus living is a trip, right!? How does the table raise and lower? I am interested in building something like that in our small kitchen so that my son can use the table at his height and then I can raise the table for meals to an adult height. There are bolts mounted into the wall, and the back side of the table has a steel plate with notches that slide over the bolts. This looks great, awesome job. Any plans for a stop in Houston, TX? Thanks Rolando! We are hoping to embark on another trip in the future, and Houston would like be on the itinerary. Waw, fantastic what you did and it gives a feeling of space… I’m from belgium so I won’t see the bus but I will follow you and wish you great luck. This is awesome! I currently live with a roommate in a duplex in Buffalo, NY while I work and pay off student loans. I have tormented my parents about where I will live once I am fully financially independent. I half jokingly tell them I would rather live in an RV than pay for a mortgage or pay rent…this is pretty much exactly what I envisioned…sans a flat screen with cable. Regardless – great work. I did something similar in a ’70 lwb Ford van. It was complete with an inverter for elec. to run a small refrigerator and a hotplate. It also had plumbing for running water when in a campground and I also wired it for 120v lighting when parked. We toured a lot in it, my wife, myself, 3 kids, 2 dogs. It was a lot of fun! Saw on a separate article that you’re enjoying making use of the space on top. I put a plastic lumber deck on the back 1/3rd of my International Harvester. Run two plastic lumber supports over the top of the rails, with risers on the rain gutters over the windows. Build up the frame and deck the full width of the bus! If your bus is built like mine was you don’t even compromise the integrity of the roof when you install. Relaxing in a folding chair on top of the bus at the end of the day is an experience beyond compare. Message me if you want to see a picture! I’m sooo ready to put a deck on top, we love using the roof! Love the story! Journey of a lifetime. Would love to see this continue annually!!! Enjoyed it!! wow amazing!!! ok just a thought no one would every be homeless my prayer for the world ..unused “junk” made into livable space which every human should have the dignity to have a home i want a bus!!! are there auction places who sell buses? In the US there are lots of “retired” school buses that have reached maximum service life, but still have plenty of drive left! You can find them affordably in a number of different places, I found mine on craigslist, but there are plenty of places you can find them! All I can say is “AWESOME”! I am an engineer by trade and a handyman by necessity. I appreciate good design, good workmanship, good execution, and good attitude. You folks have it all! This is an awesome project, awesome accomplishment, and an awesome adventure! Keep it up and best wishes! Hello Hank. I love the idea, it’s truly inspiring.. I have one question. Which bluebird did you buy. The 59 seater..? I can’t blame you for not coming through Arizona, although I would’ve LOVED to have seen this beauty in person! We’ve got some GREAT craft beer breweries…if you come through, we’ll treat ya and I’d LOVE to take some photos of this great home on wheels! JEALOUS doesn’t even BEGIN to cover my feelings! You guys are absolute pioneers. I love the simple design and I think there could be mass appeal for this. I really believe in small and affordable modular living spaces. I’m an entrepreneur and would love to talk to you guys about turning your this concept into reality with a start-up company. Hoping to here back from you guy! I have seen them! I didn’t particularly like them, so I bought a bus! Hi, this is awesome. What an inexpensive way to travel, ( except the gas)! Have to show the hubby. Hopefully if my son does traveling with his hockey team, this would save us a billion dollars in hotel bills over the years, and a great way to see the world! Hows the heat situation in the bus? It definitely gets a bit sticky inside when it’s warm outside, but having all of the windows still functional to open up and allow the breeze to pull through helps out a lot. Want to really test out this beautiful bus, BRING IT TO ALASKA! 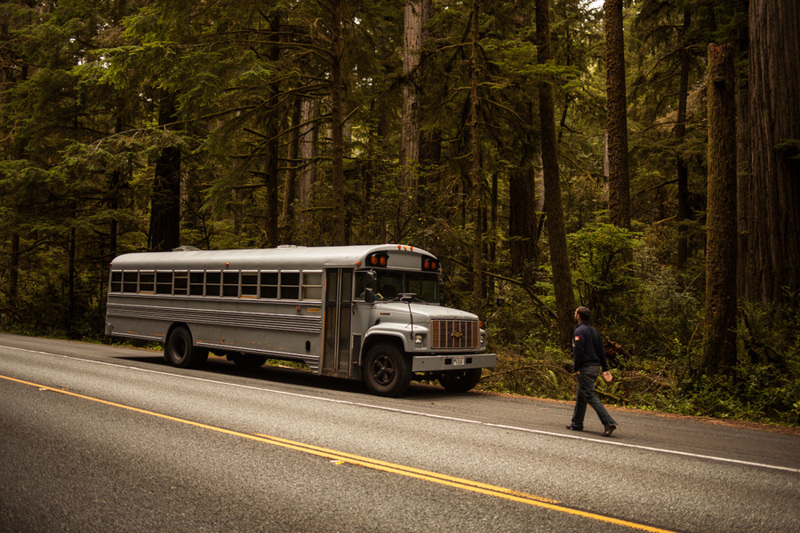 We have toyed with the idea of buying and fixing up a bus to camp and travel in. Now I see that it is possible! Beautiful, workable, useable, space efficient. We might make this a family project! Thank you. Would love to see it if you ever make it to the Last Frontier of Alaska! Hi Hank! What a great project. If you make it to Southern California (anywhere near Laguna Beach) I would love to see the bus. I took a 10,000 mile 60 day road trip back in 1995, though not in an incredible bus like this. This journey will provide you amazing memories for years to come – and probably a whole bunch of new friends. I tried to journal and video as much of my trip as possible. In 95 the Internet was still an infant and cell phones were few and far between so we weren’t as connected to the rest of the world as you are on your trip. I hope you have a blast, create some great memories, and inspire others to get out and see this great country. Love what you have done with the interior. All the wood feeling is awesome. The exterior I feel would be better in another color and maybe go to a two tone for some pizazz. Let us know about parking problems and if you get reject by some campgrounds for being a school bus conversion as I have read some campgrounds don’ allow them. What is the total length of bus etc. Great job! Back in ’78, I fixed up a VW bus and set off from Ashland, Oregon, hoping to travel and meet up with friends, old and new, throughout the western USA. I had a bed, propane stove, 5-gal-buckets with food and water and no schedule. I’ve led a very unorthodox life since then, in the jungles of Costa Rica, but I still clearly remember those six months on the road, especially the great sense of personal freedom. I will follow your blog with interest and who knows, maybe I’ll set off on another road trip myself. Congrats on the Masters Degree! Would be interested in seeing the bus in person as you go through Kansas, too, do you have an itinerary of your expected travel times? We already passed through, sorry we missed you! I love this idea that turned into such a rewarding experience! I near Salt Lake City, Utah and although your rout does not include coming all the way up north into Utah… If you change your mind we’d love to cook you a home cooked meal and show you the sights of Salt Lake City. Wishing all the best! Great project and trip your on. I’m working on a cargo trailer same concept , i have 2,150 watt solar Panels installed and many other goodies on a 7 x 18 cargo trailer & I’m in San Jose Ca , about 50 miles south off your route, if you wanted to stop by and see my project let me know. You can see some more details on my blog if your interested – feel free to use some of my ideas as I have tested all kinds of stuff from A-Z , most of all those items can be installed into your bus. Not sure where to post so I put it in twice. That’s a heck of an array! I’d love to put something like that on the bus! We hook up to external power whenever we can! Right now, it’s our only way to charge, but we hope to change that soon! Hey guys. I didn’t see any kind of schedule for when you guys are gonna be in certain places but I’d love to meet with you if you come thru Missouri. We already passed on through, sorry we missed you! 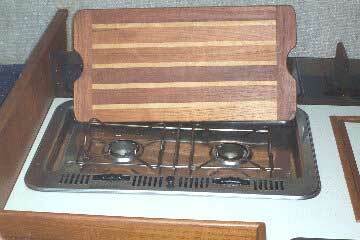 You mentioned a future gas-top stove–are there any plans to convert the bus engine to CNG with a separate transferral to your stove top? Environmental friendly, cost-effective and falls in line with your theme of maximizing space. Love the project so far….really cool. I haven’t done enough research to decide yet, but I’m definitely going to be looking at all the options! The seats fold out into another queen-sized sleeping area! Great Idea… when are you coming to Greece…. Cool, was thinking about something similar for awhile. Just an idea that I have from my love of trains and boat design, a fold-down balcony/porch on the rear. Big enough for a small bistro table, small grill, roll down canvas roof, maybe even bug screening, plus a secondary stair. Cool conversion! One thing you should look at is a composting toliet. I have one and they work great for little or no water instalations, You can make one of buy one from Airhead or Natures Head. Thanks for sharing your journey, this is a wonderful and well thought out idea that you have turned into a reality. It is nice to see the academic community support you! Way to go University of Minnesota!!! While you are traveling through my home state of Kansas several stops might be in order on your way #1 Colby KS, The Oasis of the Plains and a visit to the Cooper Barn. #2 Lebanon KS, where you will find the geographical center of the lower 48. #3 Salina Ks, The Smoky Hills Vineyard and Winery. #4 “The Little Apple” Manhattan KS, Home of Kansas State University. Keep up the great work! Look forward to seeing more ideas. what a joy to read this (and all the comments too!). blessings on the rest of your journey and life. Just wonderful! Living in a *small* space allows me to live a larger life on the outside..
Well done. I have been toying with the idea of doing something along these lines for several years and really appreciate the design and work that you have put into this. Enjoy the trip. The conversion is awesome! I have recently purchased a ’79 International Bus off Craigslist that was already converted to an RV and am in the process for getting it road worthy again. It has been a long summer project that I am hoping to have legal in the near future. You have put a lot of thought into the space and storage aspect and my wife truly loves the sliding bed concept! I will be following your trip to keep my mind racing with new ideas for a next year gut/redo of the interior. Any chance of a trip coming up taking you towards the Pittsburgh area? I would truly enjoy you taking a look at my conversion and brainstorming with you. Not to mention my wife really wants to see your conversion! Keep up the good work! Good luck with your conversion! We hope to be sharing plans of the conversion, as soon as I can assemble my notes! Nice idea! Nice implementation! Nice creation! It rocks! You guys rock! This is the coolest thing! Come visit West Virginia. Harpers Ferry NHP is beautiful all year round. What did you use for power? Inverter? Lots of roof space for solar power/water heating. What engine does the bus have? Miles Per Gallon? Do you need a CDL to drive a bus as a personal vehicle? 2 6v golf cart batteries with an inverter. CAT 2116 diesel 185hp. 10mpg. Just a regular old license! Wow. This is absolutely brilliant! I would defidently pay 10 grand for this masterpeice. You should put this into production or something because its amazing! I would like to see, once this project is finished, if someone could actually live on your school bus and make it his/her home for a year or two. If you need any volunteers, I would gladly leave my current home and see if this would be a good alternative for someone like me who was forced to retire at the age of 55. I am currently 60 so I am still young enough and adventurous enough to take advantage of such an opportunity and have the luxury of taking my home with me as well as see if it could really work well long term. I couldn’t think of a better way to explore a long term solution to the expense of living in Southern California. Awesome…..I have always been a dabbler and have wanted to purchase a school bus from our local school district when they are replaced. My vision was not as grand….but this…….it has inspired me. I have a family and I really think to have something like this that you could take off on a grand vacation through the Americas, stopping where you want to, for as long as you want to and not having to depend on things like hotels or camp grounds is just awesome. All you are really dependent on is gas stations and grocery stores. I can not think of any way to take my family through the states to see the sites that would work better then this with the money invested. Good luck with your bus venture! Very inspiring stuff Hank. I’m an architecture student myself (in Boston) and this just filled my head with tons of new ideas for my future projects. Know that your work is inspiring students from all over 🙂 Thanks. Back in 1965, a friend and I drew up plans to convert a bus to live in while we went to college. It was a very simple design compared to your masterpiece. We both went into the military instead. Forty years later I bought a motor home to tour around the country. Never too late I say! There’s something special about life on the road! Loving the bus and story. If you tweak your travel and come by LA, we will have a spot for you to park. Awesome Dan! We aren’t making it through LA this time around, but we are hoping to make it down there next time around. We will be in touch when the time comes! Terrific! I’ve been crossing ideas for my thesis, because as like you I don’t want to work on something uninspiring and that won’t take me anywhere. I thought I had something put together and then I realized I wanted to create to experiment with what I love. Nicely done. Very nice, it reminds of the Green Tortoise, a company I drove for back in the day. Incredible, simply incredible! I did a scooter trip on a 110cc Vuka with my two friends before starting my post-grad in Architecture, was the best time of my life. I know how much fun and fulfilling your trip is! Awesome. Is there a Bitcoin or paypal donation links for towards fuel budget? We’ve had enough requests, that we added a way. there’s a link at the top of the blog if you feel so inclined. Some nice project you have got going on here. I could see this happening more often in the future since people can’t simply afford a “normal” house anymore that much… (without paying it off the rest of their lives that is). I’m afraid certain laws will be passed for these vehicles not to “diminish property value” in certain areas, but that’s just one of these last twitches in the system before we, the people, can do our own thing again. These guys did it with a double decker bus here in the UK…. I am so incredibly jealous! If I could fit a double-decker under US bridges I’d be hunting day and night to find one for my next conversion! I love the concept and the design, and the fact that you’ve given a new lease of life to a redundant vehicle. What grade did you get? I hope it was a first. Your next task is to start collecting old frying oil to make biodiesel and convert the bus to run on it. I got a “pass”, which is good enough for me! I’ve got lots of bio-diesel research to do before I dig in, but I’m really interested! nice bus! great project! good luck! Now that is what I call creative spirit paired with marker mindset! Two questions though. Where was the bus bought, and how much does it guzzle? What is your take on putting two buses together from end to end? It was purchased on craigslist (where I find all my toys) and it consumes about 10mpg. Two buses end to end? Can I steer from both ends? That is quite amazing, the design is great and looks like a comfortable place to live in. My only concern is the open bathroom, isn’t there a way to close it off? Also how much energy can this bus provide for appliances and devices, did you have to do something special to provide power across the bus? Very creative and sustainable way to live. Curious to know if you plan on publishing the plans for making one of these gems? I know several people willing to pay for something like that. We hope to share some plans and drawings once I assemble them? I have been toying with a “tiny house” for a while now and this is the best idea I have seen yet. I am an environmental designer who started out building aircraft interiors so I love the usability and modularity of the space as well as the simplicity of color/wood. Awesome job and if this is a college project can’t wait to see what you have in-store for us in your professional career! You will be making some surfers living in their VW bus very jealous on the PCH! Have fun. And for all the comments on the grey exterior, unless you gonna pitch in some cash for a paint job…… its a fortune to paint a bus!! Think of it as stealth mode! Can you kickstarter this some day so I can buy one!!! That sounds like a heck of a kickstarter! Our family have been converting busses for years! For as long as I can remember and before! We love some of your unique qualities but I don’t think we’d ever give up the kitchens we have gotten into ours to make them fully functional for even families of 4+. Well done good sir, well done. I saw this on hubski – this is great! Thanks for sharing! One thing we’ve been discussing over there is the weight – with all of that wood, did you end up weighing less or more than the steel seating that usually graces a bus interior? We definitely weigh more than the steel seating, but not as much as 77-passengers weigh! Hi – what kind of CAD did you do the concept work in? Those a great-looking wireframes. Is it just a standard archiCAD? I did most of my work on that one free program that many designers look down upon, sketchup! The bus is very small and simple, and sketchup is a great what to test ideas quickly. For all the machined parts I used Rhino and RhinoCAM to make the toolpaths, really great affordable 3D modeling software! Very cool, man! If you find yourself in Sacramento, CA you should contact these guys if you want some well-connected, interesting people to show your work to. Good luck! Hank, this is awesome! My husband and I bought a bus and are also in the process of converting… love to see other people joining the movement! Yeah! Keep on drivin’ man, till you’re in South America. You’ll love it. Be sure to stop here in Porto Alegre! How’s the gas mileage on it? Better or worse than with all the metal-framed seats? We didn’t get a good number before the conversion, but we’re hovering around 10mpg right now, which isn’t bad when it’s split between a few people… cheaper than a plane ticket and a lot more fun! Awesome! Especially the beds. Apply to be a designer at a boat company. You have inventive, fresh ideas in using space. I have been looking at bus conversions for decades and have NEVER seen any this well thought out and implemented. Judging by the number of comments on this page, I would say the uniqueness of your bus may well give rise to a resurgence of the “rolling home” from the 60’s….yet even better. You deserve a hardy pat on the back. Oh…and keep the coolr just the way it is as it harbors no clue as to what is inside…sorta like a box of cracker jacks! Thanks for posting all this! Fantastic looking and well designed skoolie conversion.. well done! Bravo! We are fellow bus conversion dwellers, currently in our early 40s but on the road full time for over 7 years. We have a 1961 GM highway bus conversion that we’ve been working on pimping out and making our unique high tech roaming home and office on wheels. We work remotely doing software development and exploring great places! What a sweet rig! I love that classic chrome look! Very cool. I love it. Back in 2009 I bought a half bus with similar dreams. Sadly, my 3500 Vandura engine broke down after a few weeks and I could never repair it. Congratulations on making it all the way! awesome job, dude. amazing! i just finished reading walden on wheels and think that i am hooked on the idea. are you coming by NYC? would love to meetup and buy you some beers. Won’t be making it to the east coast on this trip, but we should make it out that way in the near future. Stay tuned. Hi! Unbelieveable!!!! This is so cool!!! What a way to see our Countries! Being mobile, you’re not confined to one area, so, go explore, your lucky Guy!!! I think this could be a solution to both the abundance of old buses and informal settlers in the Philippines. Even if the bus no longer work, it could provide a good home! There is already a small portable toilet in a room in the back. We will be adding an outdoor shower once it is parked in the woods! But I really love this. Thanks, I didn’t think this is possible. Excellent! Would live in this bus in a heartbeat! I’m studiyng architecture in Italy. I completely agree with the need of working at full scale. The idea of convert a school bus in a living space is a great idea and a great metaphor at the same time. Fantastico! Fantastic project; beautifully executed. Have you seen the “DIY home for less than $3500” video? But that’s definitely more ad-hoc than yours, so I’m not suggesting a dollar-by-dollar comparison! I especially love your reuse of that gorgeous gym flooring, black tape or no black tape, and how that just fits in perfectly with the clean lines of everything else. I’d like to add a +1 for more information about how you tackled insulation, or what ideas you have for that going forwards. From what I can gather, thermal control (in both directions!) is one of the biggest challenges when making structures that don’t follow building regulations habitable all year round. That’s not black tape, that’s the 3-point line! Forgive me, as someone who doesn’t know basketball from a hole in the flooring, for not even knowing there’s a difference…! Very cool project. Serious envy. Using wood, how do you install to handle the flex, torque, bend of the chassis? Wood only attaches to frame, never to each other? Why don’t the interiors of RVs shake themselves apart? Thanks for posting! Please keep the hive mind updated. Awesome! What source are you using for electrical power? If not already done, how about populating the unused area on the top of the bus with lightweight solar panels? That ought to give you plenty of electrical power? I’m glad you’re doing this. Just minor criticism, some of the plywood looks too thick. Then again, maybe weight isn’t an issue for such a massive engine? If you want to make those exposed edges look nice, get some thin moulding and do your miter cuts like a picture frame. Congratulations on an amazing and gorgeous project. You’ve certainly got us inspired. You could sell your plans for this bus to earn funds for the next project. Hubbie and I are dying to know how you framed out the windows and attached all the wood, how you insulated it, how the a/c and heater work, and on and on…. We really love the idea of a mobile cabin rather than an RV/mobile home. A simple sink and a coleman stove sounds just about right and maybe a couple of those refrigerator drawers. So I would be interested to hear if you really think that the RV style stove, toilet, shower, etc. are worth installing if you’re living in the bus for more than a week or so. Best Wishes! Rock and Roll! The closet across from the toilet: Turn it into a shower. You can always have it be foot pump or something like that, or even throw a solar shower bag on the roof – all you would need is tiles and a drain. Hank! This is awesome! I remember meeting you at my cousin Alexanders graduation from the U of M. I’m glad to see you’re doing great things and I wish you all the best! Hi Hank! A friend shared your article with me and I have to tell you how great it was to see your work. I am 37 years old and lived in a coverted ’57 GMC school bus for 2 years of my childhood (from ’79-’81). My parents were NOT hippies, but found it was the only option for affordable living at that time in our lives. It was a bonus that it was mobile and allowed my dad, who at the age of 24 was working as a salesman, to hop from state to state with his work. I ‘lived in’ 42 states by the time I was 5!! I clearly remember stepping off the bus to walk down the lane to my school bus stop to get on my bus to school. I’d love to send you a picture of the old girl! Your design is similar but more open concept. Very modern and simplistic! The materials used on our ‘bed/sofa pads’ were made of a scratchy mustard-colored burlap type cloth that I’ll never forget! We had a dinette that folded down into a bed on which my younger brother and I would unroll our sleeping bags each night and roll them up in time for our oatmeal each morning. I am so excited to follow your journeys! Feel free to email me if you’d like to see the (somewhat scary) old bus! cheers- the place looks gorgeous and not cramped at all. I lived on a sailboat for a few years and it’s amazing what you can get by with in terms of space. I also had the benefit of a mooring, however- which gave me access to hot clean showers, plumbing, and laundry facilities- not to mention a nice cafe at the top of the ramp. So even overseas you are known now . Although your bus is not completely to my taste , i still love the way you used the space inside this schoolbus . I hope that you will be able to make several great trips . Enjoy your self with it !! Best of luck to all you guys. Love your pictures. Drive save. i really want this. awesome trips to oregon & norcal. i’m stoked and this isn’t even mine. This is an awesome project. Would you be open to open sourcing your plans and processes? 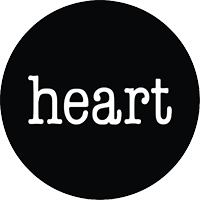 I’m hoping to organize the plans and share them on this site, it just may take me a little bit! If you are going to France or the Netherlands, please contact me. I’m very curious to see the bus and exchange ideas. By the way: what kind of wood did you use? I have never seen something like that before. I don’t know if I’m ready to drive the bus on those narrow European roads! 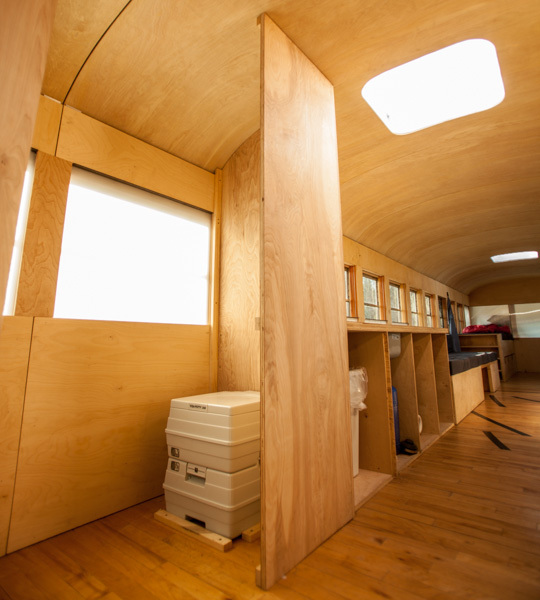 The ceiling is made from 1/4″ plywood, bent with compression to fit the curve of the ceiling. Hope I can take a tour and live on that bus someday, it looks great and interesting project, nice work guy! If you go with white, there is a white ceramic high tech paint that significantly decreases the interior temperatures when used. Hubby is converting an old ambulance for me and after he painted it, the interior is significantly cooler at all times, far cooler than our other white vehicles with regular white paint. I love the convertible elements. Marvelous design. Hubby is also gutting an old RV– wish I could convince him to hire you to design the new interior! Very innovative! Great way to make a grad project fun and useful and inspire others as well. Brilliant. Curious about how warm the interior gets on a hot summer day. Seems like it might be hard to keep it cool even with the windows open. True? I am a school bus driver close to Kansas City, MO and I would love to know when you’ll be coming through. I would love to see this. I see so many old buses go for next to nothing and this is an awesome idea!! I saw your article in School Bus Fleet magazine and this was just too cool not to check out. Excellent work! I love the ingenuity in bed and storage design! Hank – any thoughts on publishing or selling the plans? We have a short style school bus we have been considering gutting and renovating, it would be fantastic to use your plans as a template. Was turned onto your website and journey by Ethan’s Dad, who is a very good friend. Very impressed with your design, your photos and your journey. I’m also so happy about all of your publicity. Good for you!! Having grown up in Colorado I wanted to make a suggestion for your route from Las Vegas. Instead of taking the most obvious route, on Interstate 70, try going through the state on a more southerly route, either through Durango and Pagosa Springs, or on Highway 50 through Salida and Canon City. Both of these routes are less touristy than Interstate 70 and every bit as beautiful. I’m from outside of Las Animas, which is further East on Highway 50. If you continue that direction you’ll pass through beautiful and historic high plains dotted with tiny, dying towns and family farms where some of the best watermelons and cantaloupe in the country are grown. You can probably catch a rodeo or a county fair while you’re there too. Again, good luck and god speed. ooops – just heard from Tim that your journey is actually over – shows how captivating the reality of the web is! Anyway, all the best to you, and well done! This would make a terrific business venture! 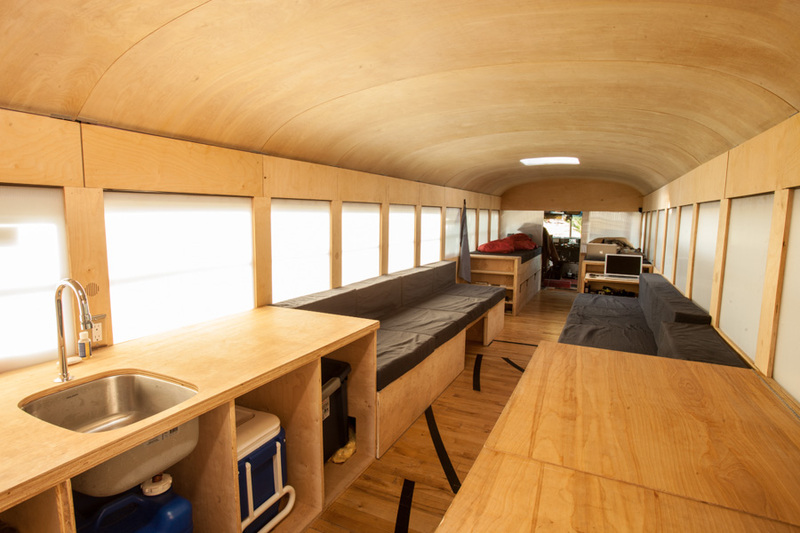 Converting school buses into living spaces for clients! Any thoughts on whether this would be profitable? I love the look and design, as well as your descriptions of your travels (and Justin’s photos). Your use of compression to hold the ceiling in place is just one of many simple, elegant design/construction ideas (see also, corrugated plastic shades, unadorned and monotone interior, clear line of sight throughout, etc.). I hope you will share your assessments of the pros and cons of your layout and design now that you have finished living with it on your trip. It would seem a natural extension of the “full-scale” design process. Also, I believe you designed the bus with plans to use it as a cabin on family land. What design variations might you have for a conversion that would be more stationary than not, versus a conversion that would see near constant traveling. What about variations for 2 inhabitants vs. 6 or 8. I don’t expect a response here, but I hope to see a new entry on the topic in the future. Hi Hank my name is Cesar and you’ve truely have inspired me to buy a bus an live in it.but before I do that I was wondering what materials you used for the windows and what type of wood you used for the ceiling and walls? Who cares and what a complete waste of time for everyone involved including my own by reading this pointless article. Go do something useful with your life! Amazing! Really love what you’ve done with this. It’s something that my wife and I have talked about doing a great deal – it’s so inspiring to see it done here so well! Apologies if it’s been asked or suggested before – and I’m in no way adept at anything electrical, etc. so it may not be feasible – you mentioned in your Portland post about the battery draining rapidly and your realiseation and awareness of what’s being left on, etc. Are rooftop solar panels and/or small rooftop wind turbines things that you’ve considered? With traveling so much, I can’t see lack of sunlight being a problem and as long as you’re moving the tubines would be effective. I should think that in all probability you’ve thought it through more thoroughly than me – I only learnt about you five minutes ago; but I thought it’d be worth a mention. This is amazing! I’ve always wanted to road trip all over the U.S.
Hope you guys are enjoying yourselves! Would love to have one of these, truly beautiful and well thought out. I love this ! I have seen pictures on facebook and tumblr. Me and a few friends of mine want to do this as well after college, and tips and information we might need to make our own? We would gladly appreciate it. My husband and I just purchased a MCI-9 for a retirement, hopefully soon, and just pulled out the seats. I could go for your design but the hubby thinks he need all the bells and whistles. So here we are ready to start the conversion. Thanks for all the photo’s. I bought a bus that was converted into a home and lived in it for a year while on a job. It did get a little small over that time. It had poor insulation in it and got cold in the winter and a little warm in the summer. It did save me a lot of money over a motel and I would do it again if needed with a little work to make it better. Was that you working on your bus up the hill from Marshall & Finn? I work nearby and passed by often on the way for coffee, always tempted to stop and visit, wish I had. I have a 2000 airstream trailer and have always been drawn to efficient living space ideas. You must have seen the little solar house on the ROTC grounds. So many ideas. What makes your bus so special to me since I have just now seen the interior pics, is that you left everything open. Brilliant. Very fun design (table “pop up”). Since I’m also in MN I wonder about the summer heat baking the bus, screens to thwart bugs, heat in winter, and the final element of complete indoor plumbing. After that, a good test would be to occupy w/o leaving for 72-120 hours for anything other than fresh air…. I didnt see any comments on the challenge of bus system mechanics, and if it has been trouble-free so far, good on you! This is AMAZING… love the design… any thoughts of selling/releasing designs? I love the all the wood but how heavy is it all – can you use a structual veneer? The large roof is begging for PV panels, see solar-electric.com for good prices and discussion forums. My PV house roof mounts are rated at 125 MPH. If you used multiple 12 V panels 26.3″ wide you could follow most of the roof line (140 W peak 59.06in/26.30in/1.8in). multiple panels in series will minimize your wireing sizes. Use a MPPT (Max Power Point) Inverter to maximize efficiency and match PV voltage to battery voltage. Choose your energy/weight / cost tradeoff between low capacity Pb Acid((Heavy/WHr) to Li Ion (lightest/Whr). Your LED lighting is already matched to low voltage DC and a moderate capacity (sine wave for electronics) inverter can handle everything else. Just a suggestion, and take this with a grain of salt, as you should all suggestions…keep the cassette toilet. Plumbed toilets and black-water tanks are great for larger parties and for temporary uses. But, you never know when you’ll have a chance to dump in an RV sewage receptacle, and cassette toilets (as you surely already know) can be dumped in a regular old toilet. Second suggestion? Build a small cabinet around the cassette toilet, where you can water-proof the bottom up to about four inches. This will help with any….ahem…mishaps. Or make the entire floor of the bathroom a water-proof tray with a drain, for showers, foot-rinses, and/or the occasional “Oh sh*t, I just spilled sh*t” moment. From a now-sedentary former nomad, best of luck to you. which I hope you like. Please let me know if you’d like anything changed/rectified/etc. Good luck on your tour! I absolutely love everything about this bus. I wish it was mine haha. The silver coat on the outside fits perfectly. I would love to travel in this! No offense… but coming from someone who has been living in small, custom, mobile spaces for some time you present yourself as the classic pretentious architect. Did I see this rig broken down on the side of CA 20 outside of NV City for several days this summer? I agree it’s the kind of thing that’s said way too much in an academic setting, but pretentious would have been: “no one has ever done this before, and I am a genius.” What I’m really getting at, and I think most people see is: “I know it’s been done before, but I want to take my own stab at it.” And to be honest, even though there have been plenty of conversions done by people more talented and experienced than myself, I feel like I have brought something to the conversation, and I’m grateful I’ve had the opportunity! Awesome project Hank! I found your post off reddit. Very slick design, I like the convertible nature of it! WOW! This bus is amazing. If we didn’t have winter in Sweden I would love to live like this. Hank, you are a genius, sir. I have a converted 1971 Silver Eagle and it came with a composting toilet. I ended up putting in a Y pipe into a black water tank for flexibility. You may want to google “composting RV toilet”, there are lots of great options out there. I have always wanted to travel like this. One problem: money. How do you do it? Did you save for years? It seems so difficult. Hey Hank! Awesome job on the bus, I love it and it’s a great idea! I wanted to make my son a bed similar to the one you’ve made, would it be possible that you have the measurements for the twin bed, with all the compartments? Hey Chad! We hope to be converting another bus next summer for a client, and will be documenting that process to share plans and processes with everyone, so stay in touch! Hi Hank, I’ve really been digging into your project and it has been a huge inspiration for my best friend and I. We are both civil engineers who are bit fed up with the corporate world and are thinking of doing something along the same lines as this project. Probably a smaller bus because it will only be the 2 of us but do you have a manual or a full written report on the details of the project (i.e. wood thicknesses at certain locations, plumbing details, electrical details, etc.) We are very serious about building a bus of our own and some of your guidelines would be very helpful. Such a great project and thank you in advance! Hey Naoki! Thanks for all the kind words! At the moment the plans are very sparse and disorganized. We’re hoping to do another conversion next year, and do a more thorough job of documentation to share with others. Make sure to like “hank bought a bus” on Facebook to keep updated on when that happens! This is brilliant! I saw someone else who brought up the tumbleweed houses and I agree with her, this seems like a much better solution. I can’t really speak with any authority or intellect on this subject (I suppose you had your reasons) but, wouldn’t the bathroom work better in the front? It seems like with the bathroom in the front you wouldn’t have to move the modular beds back and fourth to get to the cab while you’re on a road trip. Did you put it in the back for water tanks, or smell? Just wondering. Awesome job though, really fantastic, please post any changes or improvements you make. consciously thought out, great pictures and well written. I believe the road calls to us all, but few venture far from it. On a les mêmes soucis en Europe et dans mon cas en Belgique. Maintenant à quand le village “nomade” ? Idée à creuser ! Just GREAT ! Congrats for your project/job/… all the best for the improvements ! magnifique !!! la reprise du bus scolaire en bus maison tres bonne idée!!!! Your design is functional and beautiful. I love the lines u kept. 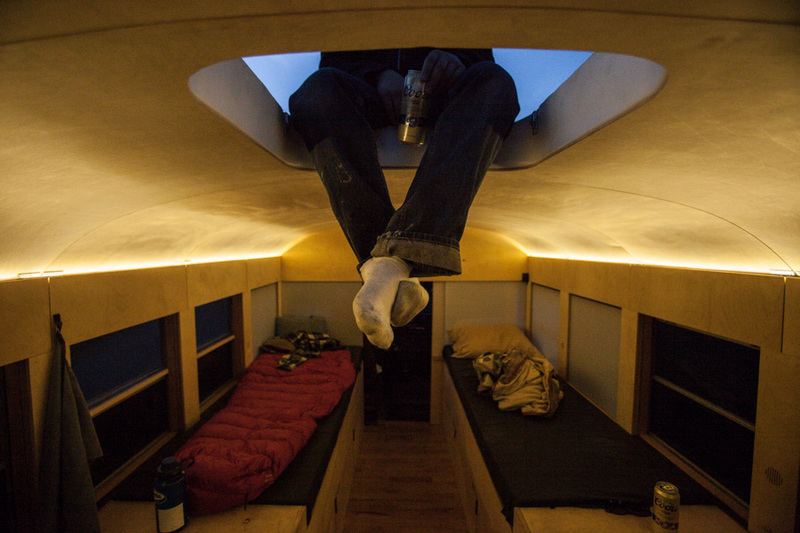 Simple ingenious window coverings and AMAZING moveable bed/s storage unit in the front. That alone is a unit design you should patent!